Microfibers provide superior absorption, making this Microfiber Cloth ideal for cleaning or dusting any surface, wet or dry. Electromagnetically-charged microbifers attract and hold dust, dirt and grime. Perfect for quick dusting jobs. Machine washable. Sold by the each, or by the dozen. Hal’s Tip: These can be used for cleaning any surface with any chemical or with out chemical. Wet or dry you’ll find this cloth cleans it all!! Sold in 4 bright colors to keep you and your employees from using the dust cloth on glass or the bathroom cloth in the kitchen. 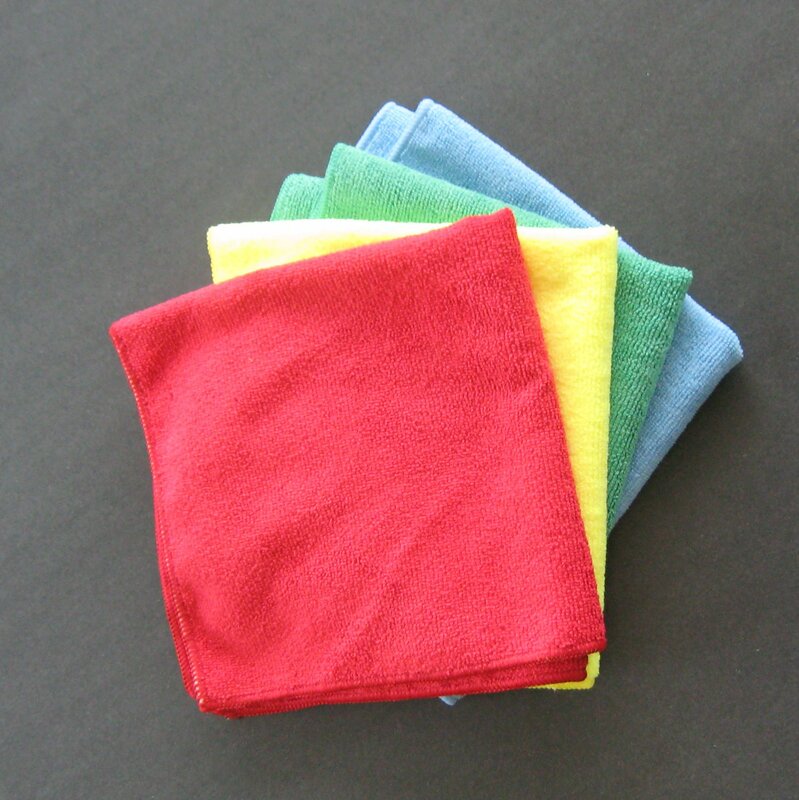 Get you and your team color coordinated and cleaning enviro-friendly with these microfiber cleaning cloths.